call yourself a surf band? twangy and jangly reverb drenched guitars. is no way to offend people. 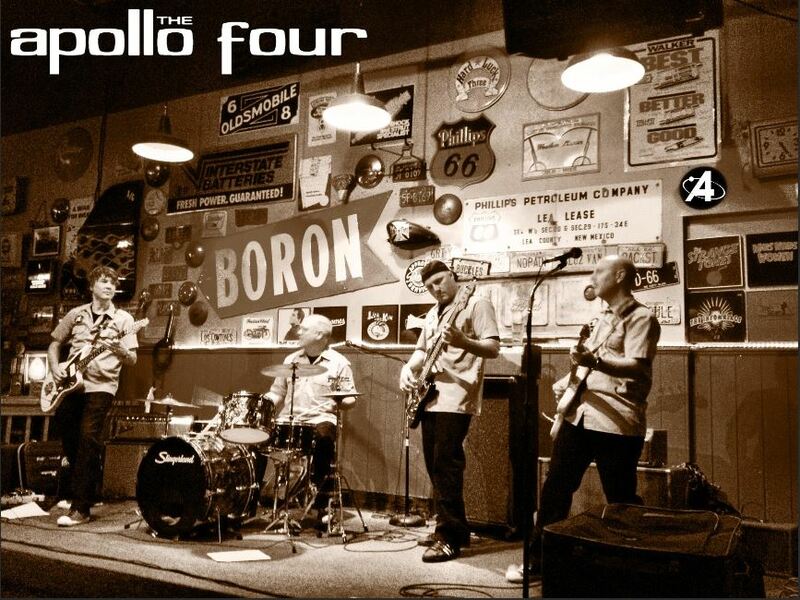 Canaveral, it would sound like The Apollo Four! your music in those early days? Jordan- I agree with the above! We could probably list artists and bands for weeks! heavy influence on me when I began playing instrumental surf music. The Continental: What was the first song you played or wrote as a band? Steve- We played Apache at our first rehearsal and everything just clicked. Scot- We write and arrange songs as a whole band. Cliff- The first originals we wrote were Caboose, Nitro Twist and Sugar Cube. Jordan- All three are featured on our EP- “Blast Off!”. 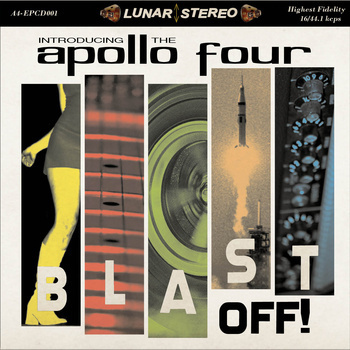 The Continental: What is a typical Apollo Four show like? someone being handcuffed or tazed. how we push each other musically. These guys freak me out at every show. to SoCal to perform in the near future. Stay tuned for summer 2014! kind of bands do you like to pair yourselves up with? events… so far, so good! you’re in a surf/instrumental band. feeling to make a new surf/instrumental music fan. could turn into a very long list. The Sinisters and the A-Phonics! course The Continental CD sampler! started working on a new CD? The Continental: What gear do you use live and for your recordings? Steve- 60’s Slingerland and Ludwig drums with Zildian Cymbals. a ‘66 Fender Bandmaster head and 1x12 piggyback cabinet. BLA Auteur) as our only outboard gear. together in the same room, at the same time. The Continental: What are your favorite beers and/or cocktails? Cliff- Our favorite drinks are the cold ones! free drink tickets get us when we play venues! they haven’t returned our calls. Jordan- We also enjoy Pabst, Rainer and anything from the Tiki bar! must see spots- restaurants, shops, bars, clubs, etc.? Dot’s, Voodoo Donuts, Hale Pele, and Trader Vic’s for food and drink. Tavern and Dante’s to name just a few. Cruise-In at PIR and See See Motor Coffee Co. I really miss Satyricon! your face with some mind-blowingly good sandwiches!